Another skill which is essential to our success is our ability not only to listen to our clients, but also to “hear” what they are saying. Many times we listen to someone explaining their health concerns and it’s almost as though we get tunnel vision focusing only on one symptom or another. However, if we are truly “hearing” what they are saying, they may intuitively give us clues as to what their bodies need. When I first started learning about herbs I would invariably come across information pertaining to various systems of diagnostics to include that of Traditional Chinese Medicine; Yin and Yang Deficiency, Liver Yang rising, and Liver Qi stagnation are just some of the “patterns of disharmony”. Unfortunately, the information never really jelled with me and I felt as though I were trying to learn a new language. Most of the information on western herbs that I read focused on giving “Herb X” for “Condition Y”. I, like so many others, would try to memorize which herbs to use for what conditions. As time went on I became rather frustrated because I could use the same herb on two different people for the same condition and sometimes it would work and other times it wouldn’t. Then, lo and behold, I came across herbalist Michael Moore’s website and read his, “Principles and Practice of Constitutional Physiology for Herbalists”. 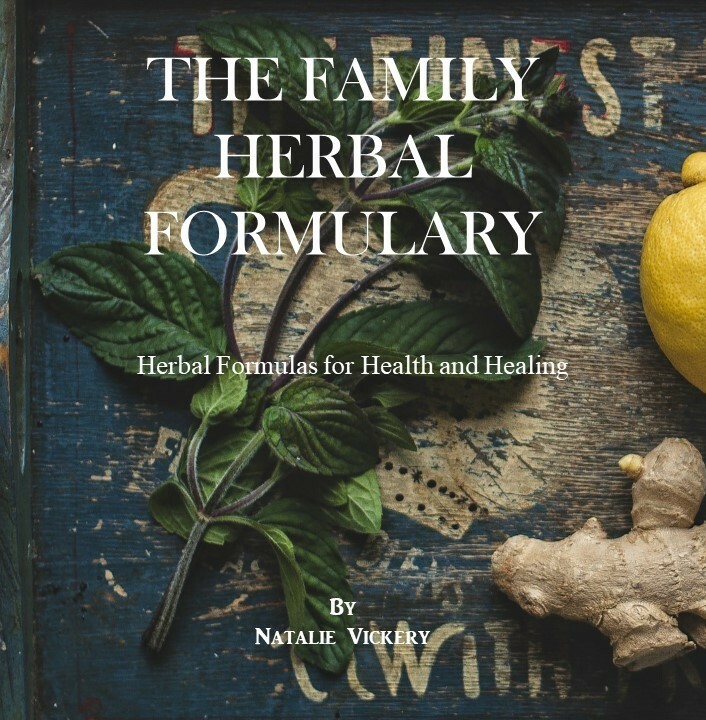 In this book Michael discusses how he had also been frustrated when using a particular herb for a particular condition and finding that sometimes it would work and other times it wouldn’t. Not long after reading Michael Moore’s work I came across other herbalists like Matthew Wood, Jim Mcdonald and Kiva Rose whose wonderful writings really helped me develop a better since of what to look for when matching people with herbs and identifying patterns of imbalance. It is important that we always focus on the “whole” person and not the individual symptoms of a “disease”. Just by looking at someone we can often see clues to possible imbalances. Someone comes to see us complaining of sharp pains, there is redness and swelling and they seem rather agitated. We also observe the tongue and see that it is red. By piecing together these observations, we come up with a pattern. By understanding these patterns we are able to select herbs which will assist the body in normalizing or correcting the underlying imbalance. 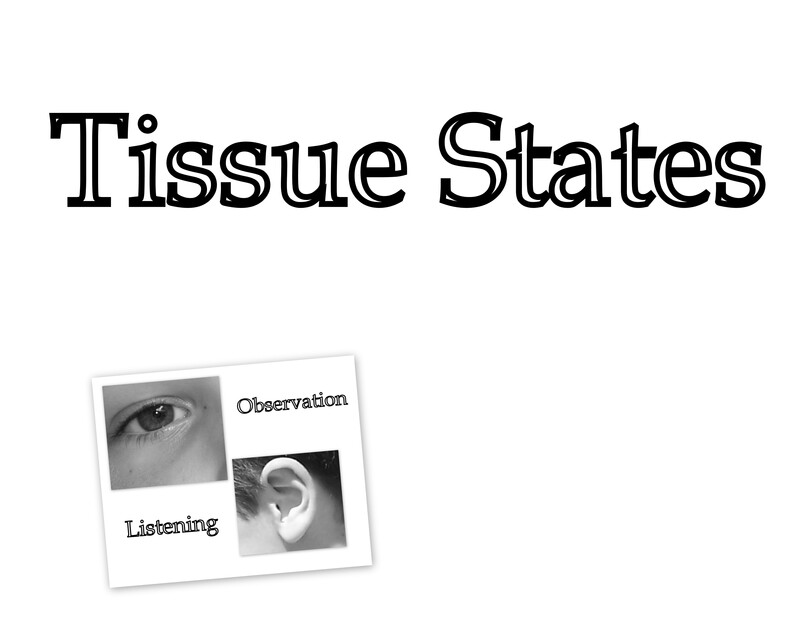 Through observation we look at the “Tissue States”. Tissue states are basically physiological imbalances or patterns that can be determined through using our senses. In Greek medicine patterns of imbalances were broken down into four basic qualities; hot, cold, dry, and damp. However, throughout history others added to these qualities leading up to what are now the six tissue states. Herbalist Kiva Rose hit the nail on the head when she said, “don’t get hung up on the names of the tissue states”. Try to focus more on understanding the patterns and how they benefit from the corresponding herbs. Let’s take a look at each of these energetic patterns or tissue states. This tissue state can best be described as one of increased metabolic functions; “hyper” functions, “excitation” or over stimulation, if you will. Irritated, red, and inflamed tissues which may feel hot to the touch. Because cooling herbs generally slow down or sedate processes they would be indicated for this pattern where tissues and functions are over stimulated or excited. Examples of Herbs: Peach, Wild Cherry, Rose, Yellow dock, Lemon balm, Hibiscus, Hawthorn, Yarrow, Elder, Blueberry. This is a condition of under-activity, lack of function or “hypo” function and deficiency. The body is not properly absorbing nutrients and there are often signs of poor digestion. The person who is constitutionally cold will often experience digestive symptoms such as bloating and constipation. Matthew Wood states that with the cold/depressed state, “tissues are under stimulated or incapable of responding to stimulation”. This coldness is an internal coldness as opposed to be attributed to the environment. Elimination and metabolic functions are slowed and the person can become host to various pathogens and parasites. For this pattern you are looking for herbs which will help to stimulate function and increase circulation. Examples of Herbs: Ginger, Cayenne, Horseradish , Garlic/Onion, Thyme, Sage, Oregano, Prickly Ash. This tissue state is exists as one where the person is lacking in oil, water or both and as a condition of poor nourishment. This dryness may come about because of a loss of fluids such as perspiration and urination or because the body is unable to facilitate the movement of water, oil and nutrients into the tissues. This pattern of dryness can lead to atrophy or wasting as the body fails to get adequate nutrients into the cells. For this pattern we look to herbs that will aid in moistening (either by way of oil or mucilage), soften, nourish and tone the system. Mucilagenous = Marshmallow, Slippery Elm. With this tissue state the fluids are not moving and they begin to back up, thicken and accumulate. The channels of elimination seem to be hindering movement and metabolism and elimination are not functioning properly. Poor digestion can lead to accumulation of dampness. Energy is also impaired and may lead to feelings of sluggishness (feeling bogged down). Because of the accumulation of waste the system may begin to generate heat. This condition is known as “bad blood”. For this pattern we are looking for herbs which are known as Alteratives or Blood Purifiers. It’s not that they “Purify” the blood, but rather “Alter” the metabolism by increasing elimination, improving lymph flow and digestion, therefore leading to improved nourishment. Examples of Herbs: Burdock, Dandelion, Oregon Grape root, Yellow dock root, Chickweed, Poke root, Red clover, Nettle. With a lax tissue state the tissues have lost their ability to restrain fluids because the tissues have lost their tone and are unable to contract. Tissues are moist and the bodily fluids flow freely. The loss of fluids can lead to a loss of electrolytes, dehydration and an overall state of dryness. This pattern indicates the use of astringent herbs which help to tighten and tone lax tissue. Example of Herbs: Agrimony, White Oak bark, Sumach, Bayberry bark, Raspberry leaf, Blackberry. This tissue state as it indicates alludes to tissues that are constricted, tight and tense. The psychological aspect of this pattern also indicates a nervous tension as well as a physical tension. Some aspects of this pattern or tissue state tend to fluctuate, come and go or come on suddenly and therefore this tissue state is often referred to as Wind. This pattern calls for the use of herbs which are generally considered relaxants. Example of Herbs: Catnip, Chamomile, Crampbark, Lobelia, Passionflower, Boneset, Valerian. This is certainly not a complete overview of the Tissue States, but rather a foundation to prepare for further exploration. Many of the authors I have referenced in this article do a wonderful job of elaborating more on the nuances of each tissue state and should be reviewed for those that are interested in a deeper understanding of the topic. Green, J. (2007). 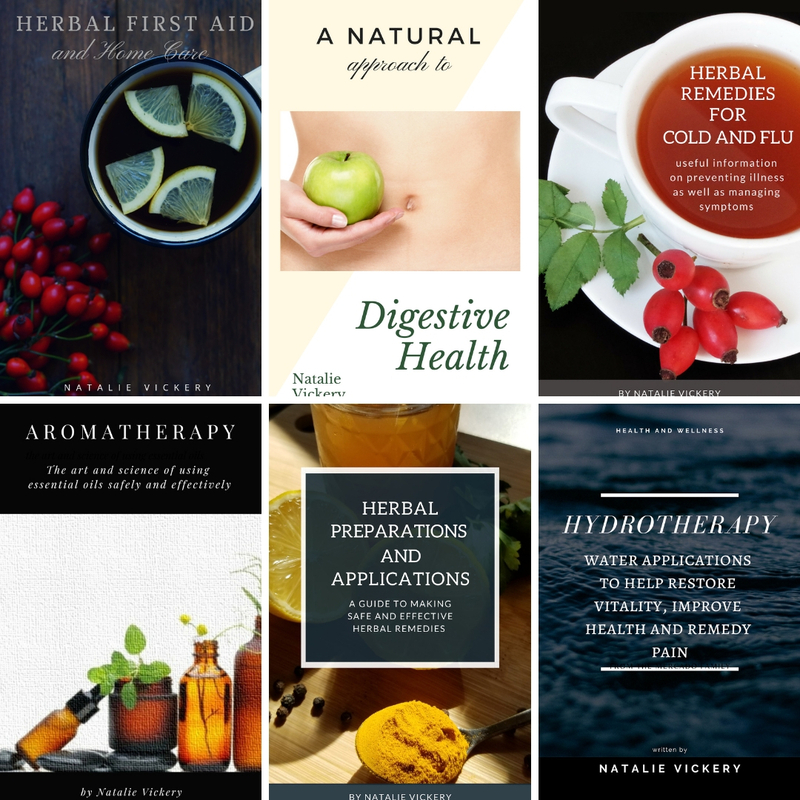 The male herbal; the definitive health care book for men and boys. Crossing Press. Berkley, CA. Wood, M. (2004) The practice of traditional western herbalism. North Atlantic Books. Berkley, CA. Thank you so much for this! I have been reading and piecing parts together and this has made so much sense to me! Thank you so much Ruth. I’m so glad you found it helpful. Hi… What are some diseases a diagnostics herbalist should know about…? This is a very good question and there really isn’t an easy answer for it. As I have learned over the years it is much more important to understand the person than the disease. In other words…the tissue state (hot, cold, dry, damp, etc). Diseases are names given to describe symptoms which affect the structure or function. Names aren’t necessarily important, but rather how do they present themselves. As herbalists we look to herbs to improve the bodies own natural ability to heal itself as opposed to giving drugs to suppress symptoms. It is good to have some familiarity with how the body functions and to look for “red flags” which would indicate the person should seek conventional medical attention. With that said, sometimes it does help to understand how a particular “disease” presents itself. In other words…if someone has been “diagnosed” with a “disease” it certainly doesn’t hurt to understand the nature of that disease. By understanding the tissue states we begin to see patterns…for example…the person has red swollen tissue, they are restless and agitated, they may have a fever and their tongue is red and pointed. This pattern would suggest the presence of “Heat”. There may be inflammation and irritation. Therefore, as herbalist we would consider giving herbs which are cooling…herbs that would help to slow the process because the tissues are “excited” and over stimulated. Kind of like when you are out on a hot day and your face gets red and you feel irritated because of the heat you drink a cool glass of lemonaid or eat some watermelon and it helps to cool you down and make you less irritable. I hope this helps to answer your question.